One or more photo(s) has been virtually staged.Buyers Financing fell through. Wonderful 3 Bedroom, 2 Bath Villa Nestled on a Private End Lot with Trees for Shade. END UNIT! NEW ROOF 2014. Water Softener. Large Great Room with Wood Burning Fireplace & Slider out to Large Enclosed Patio. Dining Area off Great Room with Vaulted Ceilings. Kitchen features Stainless Steel Appliances, Glass Top Range, Breakfast Nook & Inside Laundry Closet. Master Suite with Slider to Patio. Master Bath features Dual Sinks, Garden Tub with Shower & Linen Closet. Second Bedroom with Adjoining Bath with Large Step in Shower. Third Bedroom with French Doors which could be Office/Den. Slider leads to Large Enclosed Porch with Extra Storage Closet. Enjoy your own Private Back Yard. 2 Parking Spots -1 Right Directly in front of the Unit & 1 Covered Carport. Pet Friendly Community. 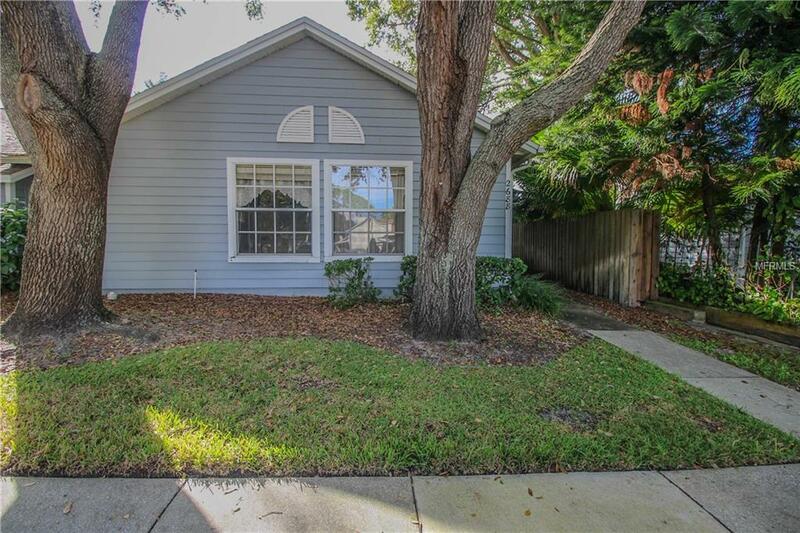 HOA Includes Basic Cable, Water, Trash Removal, Ground Maintenance, Community Pool (Heated), Park, Tennis Courts, Great Location (Palm Harbor University) Close to Shopping, County Parks, Beaches, Tampa International Airport.